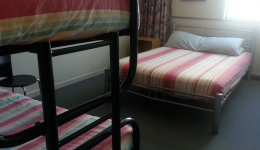 At Point Break we provide a clean comfortable environment at competitive prices for short or long term guests. We aim to ensure your accommodation needs are met and take care in the standard of service we provide. Close to the beach, bars and mall, 15 min by bus to the city centre , only 30 mins drive from the airport. Christchurch city bus service has been described as the best in NZ providing coverage over the whole city.